Nothing screams reality more in the modern world unless the word ‘challenge’ is tacked onto the end of a stupid thing to do …So, although I have blogged about cold showers before and the Kneipp cure (courtesy of Rossi and Margret who are German friends of mine), and took a cold shower once, because neither were part of an official on-line challenge it appears that they didn’t actually happen! This challenge, as well as being 30 days long (for anyone reading this blog early in the morning before their brain has kicked into gear) is a cold shower only. No lovely hot shower and then a bit of cold at the end, (the recommended Kneipp method) – you are supposed to jump straight under the cold shower and stay there for five minutes! Apparently the philosophy behind this method is that: ‘If you can’t do something uncomfortable and difficult for five minutes in the shower, how the hell are you going to do something uncomfortable or difficult in real life?’ I would argue that I have rarely shied away from the latter whilst never having taken the 30 day cold shower challenge so although it all sounds very Zen … it doesn’t really work on persuading me to actually get under one. Therefore I thought I would revisit the health benefits of cold showers to see if that would convert me. In the last 30 years or so, more benefits have been identified. 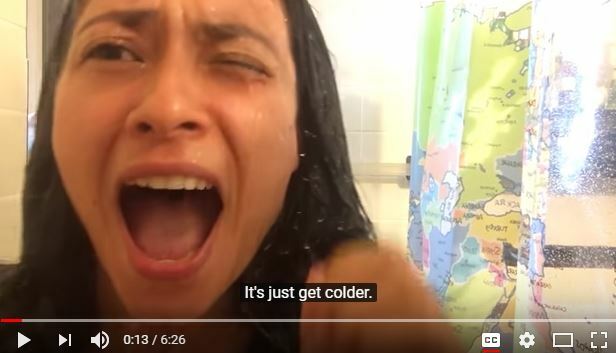 In a 2008 study, cold showers were shown to relieve depression symptoms due to the intense impact of cold receptors in the skin, which send an overwhelming amount of electrical impulses from the peripheral nerve endings to the brain, thus producing an antidepressive effect and boosting moods. A 1994 study (based on ten participants who swam regularly in ice-cold water during the winter) found a drastic decrease in uric acid levels (an excess of which causes joint pains) during and following exposure to a cold stimulus. There was also an increase in glutathione, an antioxidant that keeps all other antioxidants performing at their optimal levels. Cold showers have also been found to increase the amount of brown fat in the body. The human body contains two types of fat tissue, white fat (which stores calories and accumulates in the body) and brown fat (which generates heat to keep the body warm, and is activated when exposed to extreme cold). 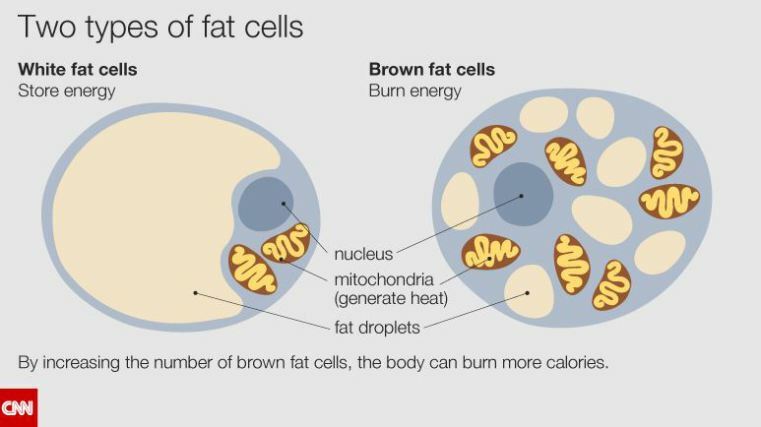 It was once thought that, in humans, only babies had brown fat (babies don’t have the ability to shiver and so use brown fat to stay warm) but in 2009, researchers found small amounts of brown fat in adults and that people with lower body mass indexes (BMIs) tended to have more brown fat. Brown fat can be hard to find, and to study as they are often mixed in together in fat tissue and the research is at an early stage. But it sounds great. Only then I found out that eating turmeric can increase the amount of brown fat cells, which sounds a far better way to get more of them than 30 days of cold showers! I also decided that a study of the benefits of the extreme sport of ice swimming couldn’t necessarily be translated across to a five minute cold shower. It worked. A bit. The punters in the video agreed, ‘Yeah it’s awful at the start but then you get used to it and the results are awesome’ – that beloved word of the youth! I can believe that. When I used to have long showers I hated getting out because I would feel so cold; so much so that I would stay under the shower purely to put off the evil moment of getting out. And when I first began to turn the shower off after getting wet my body was like WTF?? But very quickly it (i.e. my body, though presumably it was actually my brain!) just got completely used to it! So am I going to take up the challenge?